Please welcome to the Editor’s Q&A corner Founder and Editor-in-Chief of Tribe Magazine, Kristin Helms. Kristin shares payment details, explains the mini-essay, tells us how to submit work for consideration and lots more in this info-packed article. Q: I love that you describe Tribe as ‘not a parenting magazine’ even though your readers are mostly moms. Tell us about that! A: Yes! It was important for me to create a safe space where moms felt welcomed and understood; check judgement and the mommy wars at the door. We’re not parenting experts sharing, “how to get your baby to sleep through the night” type articles. We’re simply moms sharing tidbits of our journey and lessons learned along the way, within a supportive community that understands. All essays are 100% authentic and written with “mommy soul”, and I think that really shines through in Tribe‘s content. Q: Can you tell us the background of Tribe Magazine and when/why you founded it? A: My two sisters and I launched Tribe Magazine in 2014 as a women’s site, actually. It was: Tribe Magazine, everything woman. We covered a very broad range of topics including recipes, fashion, travel, and a ‘Mom’s Corner’ where our mom content lived. In early 2016 we realized that the majority of our readers were moms and our most popular articles were mom-related. My sisters were both in the process of going back to school and advancing their careers and I had just left my career in marketing to stay home with my kids, so I took complete control of the wheel and revamped Tribe into a website for moms. I joke that I saved “mom” from “the corner” — no more Mom’s Corner — and placed her front and center, where she belongs! In May, 2016 the new Tribe was born: Tribe Magazine, everything mom. I knew immediately I wanted to open our doors to contributors and I wanted to pay them for their time. Aside from editing/marketing Tribe, I’m also a freelance writer, so I know the drill — sometimes you get paid, sometimes you don’t — and it feels nice to get paid for your heart spilled out on paper, even if it’s just enough to buy your next cup of coffee. We started with a pay-per-pageview model and now offer a flat-fee for all original content. As Tribe grows, I hope to continue restructuring our compensation model, because our writers are the heart of this publication, and you have to take care of your heart. Q: How many pieces are you publishing each month? Q: What themes or topics are you interested in seeing submissions for? A: Each month we’ll announce a new theme for our mini-essays on our Contributor page. Our upcoming December theme is “Traditions” (see more information here). We’re also looking for regular-length essays that articulate some sort of journey or transformation, a unique perspective, or a regular “mom life” occurrence used as a realized metaphor for a broader topic. We’d love to take a look at seasonal pieces at least six weeks in advance. Q: You are accepting both full length and mini essays. Tell us about those and maybe give us a great example of each so first time readers can see the tone and style you love. A: Mini-essay submissions should be 300 words max and include a photo. We’re looking for short, powerful snippets of writing that shake the mama soul. Regular-length essay submissions should be at least 500 words. We love relatable essays that stimulate raw emotions that only mothers would understand. I’m a sucker for imagery and fresh ideas, or an old idea with a new perspective. Here is an example of our first mini-essay round-up featuring 15 amazing writers exploring the theme, Transitional Seasons of Motherhood – A Collection of Heartfelt Stories. Q: How can potential contributors submit work? Also, do you prefer a pitch or a completed article? A: Please email final submissions, complete with a bio and social media links to: Kristin@thetribemagazine.com. Please indicate in the subject line if you’re submitting a mini-essay or regular-length essay. Once you’ve written a few pieces for Tribe and I have a sense of your style and tone, I’m happy to accept pitches. Q: How quickly do you usually respond to submissions? A: We try to respond either way within 2 weeks. If you haven’t heard from us within 2 weeks, feel free to move on. We will respond to mini-essay submissions up to one week after the deadline, which is listed on our contributor page along with the theme for the month. Q: You’ve mentioned that you pay for accepted submissions. What are the current rates for both types of essays? A: We currently offer $25 for accepted, original full-length essays, and between $5-$10 for mini-essays. We do consider previously published work but do not offer compensation for those. When your piece is published on Tribe (mini or regular-length) we include your bio and blog/website/social links and promote your piece on our social platforms: Twitter, Instagram, Facebook, Pinterest. Once you’re part of our mama Tribe of writers, I do my best to promote you in any way I can. Did you write a book? Send it to me and I’ll add it to our Currently Reading page. Do you have an article recently published on a different site? Feel free to email me the link and I’ll push it out on our social media channels. It’s one of my top priorities to promote our writers and their work. Let’s lift each other up! A: We’re headquartered in San Diego, California and we do accept work from international writers. Q: Are there certain social media channels or promotion methods you like to see contributors use to share their article once it appears on your site? A:We encourage writers to share their articles on any and all social platforms where they’re most active. Since our re-launch in May, we are throwing a large amount of time and resources into growing all of our own social media platforms. Instagram is sort of our “golden child” right now — we’re growing a very engaged mom tribe on that platform so we love connecting with and promoting our writers there. Instagram is also a huge part of our mini-essay promotion, as each of the 15 writers chosen every month will receive a dedicated Instagram post on our profile. We’re also very active on Twitter, Facebook and Pinterest. Q: As far as rights go, are contributors able to republish something you have published in the future, and if so, do you have any requests as far as that goes? A: Yes, writers may republish any of their articles that originally appeared on Tribe Magazine. We just ask that they wait 90 days before republishing the content and appropriately attribute the republished piece with a link back to the original article on Tribe. Q: In addition to editing, you also write for Tribe. Can you share any productivity tips with those of us who are also mothers and writers and/or editors? A: The million dollar question – ha! Honestly, it’s really, really, really hard and I wish I had some magic formula. I have an (almost) three-year-old and a (newly) one-year-old, so I think they call this “the thick of it”. I work during nap times, at night, on the weekends, and one half-day during the week when I have help with child care. That’s why you may see e-mails from me at 11PM on a Tuesday! My writing is on the back-burner for now while I throw 120% of my time into editing and marketing Tribe, but when I do write, it’s usually when I can escape to Starbucks early on a Sunday morning. Since my schedule is fragmented, I find it helpful to focus on only one task during one chunk of time — editing during nap times, responding to emails at night, scheduling social media posts for the following week on the weekends, etc. This practice has at least allowed me to check things off my to-do list instead of trying to half-accomplish it all during one nap time and being left with a bunch of loose ends. And at the end of the day, passion is driving this train. It’s amazing what you can accomplish or what you can make time for when you’re feeding your passion. Q: What’s next for Tribe? A: We’re thrilled about introducing our new mini-essay pieces and think these are going to be a huge hit with our audience (busy moms who are also “in the thick of it” and may only have time to read 300-word stories from start to finish without interruptions throughout the day). 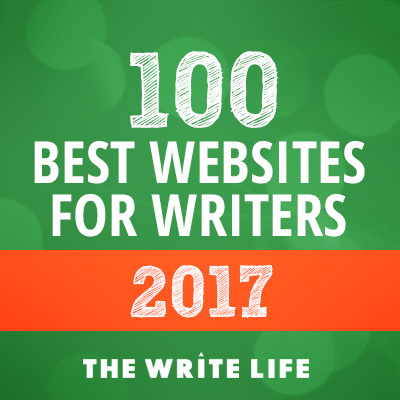 Plus, when you round-up 15 amazing mom writers and feature their soulful words and different takes on a theme, all within one big article — that’s just powerful stuff. We’re also very excited to launch our new Shop on Tribe (officially launching mid-November). We’re selling t-shirts for moms and children, baby onesies, and coffee mugs incorporating some fun “tribe” slogans. We appreciate our writers and community helping spread the word about our products, as this is just another initiative to monetize our site, and in turn, continue paying our writers.